If you have a listed impairment which meets the Social Security Administration’s (SSA) very specific medical criteria for disability, you can win your claim for Social Security disability benefits at step three of the five-step evaluation process. But what if you can’t? What if, like many people, you have more than one condition or illness, neither of which is severe enough to meet those criteria on its own? Fortunately, the SSA recognizes two very important facts. Number one, different individuals can be affected in vastly different ways by the exact same condition or illness. And number two, the combination of two or more non-disabling conditions in one person can be enough to prevent them from working. Unfortunately, proving that you’re disabled by equaling an impairment listing can be extremely difficult, and usually will require support from the expert opinion of a medical professional. Don’t give up. Smith Godios Sorensen Inc. is the new name of the firm Shifrin Newman Smith Inc. Our disability law firm began handling Social Security Disability benefits back in 1985. It’s what we do best. And if we are not able to obtain benefits in your case, you won’t pay any attorney fees. It’s just that simple. Call 877-230-5500 or contact us online for a free consultation today. How Does the SSA Determine ‘Medical Equivalence’? Your impairment is listed but doesn’t exactly fit the criteria. If the findings related to your impairment are at least of equal medical significance to the required criteria, the SSA might find that your impairment is medically equivalent to that listing. This would result in a finding that you are disabled. Your impairment is not listed. The SSA will look at a similar listed impairment and if the findings related to your impairment are at least of equal medical significance to those of a listed impairment, it might find that your impairment is medically equivalent to the similar listing. You have a combination of impairments, neither of which meets a listing on its own. The SSA compares the medical findings for your combination of impairments to see if they are at least of equal medical significance to those of listed or closely analogous listed impairments. 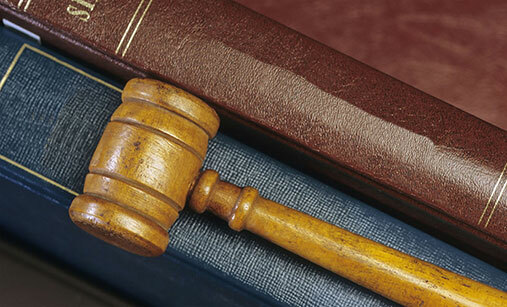 There is absolutely no risk involved with contacting our law firm for a free consultation. To do that, call us toll free from anywhere in the state at 877-230-5500 or send us a brief e-mail message.